Contact lenses are convenient ways to improve your vision, camouflage irregularities, and transform your eye color. However, they're also medical devices that require a thorough exam and a prescription from an eye doctor. Even if you already know your prescription or want to wear non-corrective contacts for aesthetic purposes, you will need a comprehensive evaluation to make sure your lenses are completely safe and effective. At Family Vision Associates, our comprehensive eye care services include contact lens exams for kids, teens, and adults. Because each individual patient has different eye care needs, we must evaluate your specific eyes to find the best lenses for your eyes and vision. Learn exactly what to expect from your exam, and why these visits are so important for your overall eye health. Like eyeglasses, contact lenses are capable of correcting refractive conditions such as hyperopia (farsightedness), myopia (nearsightedness), and astigmatism. If you have a vision problem that affects your ability to focus, your Corpus Christi optometrist will perform a thorough evaluation to make sure your contacts will work for your specific vision. However, even if you don't need vision correction, we must perform this comprehensive screening in order to verify your prescription and rule out any abnormalities. After we perform these exams, we will continue your appointment with a brief evaluation of your lifestyle, health history, and overall vision goals. Are you a good candidate for contacts? Allergies and dry eyes may make contact lenses uncomfortable, and certain eye conditions require bifocal contacts. Your lifestyle also plays a big role in your eye health, and it will tell us which contacts (if any) are a good fit for your life. If you travel frequently, you need contacts that are safe to sleep in. If you play high-contact sports, contacts are safer and easier than glasses, but you may disposable lenses to reduce daily irritation. 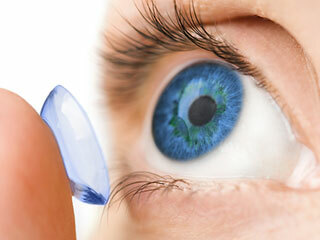 Once we know that contact lenses are right for you, we will perform a fitting to measure the exact shape of your eyes. The curvature of your cornea is the most important criteria, because it determines the curvature of the contacts you will wear. Your eye doctor may also measure your iris and pupil to make sure any colored lenses align properly. At Family Vision Associates, we know contacts. Call 361-854-1833 today to schedule a contact lens exam with one of our talented Corpus Christi optometrists.